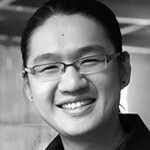 For Dominic Qwek, becoming a successful self-published tutorial author took just six hours. That’s how long it took for Blizzard Entertainment’s senior cinematic artist to record his first ZBrush video, edit it, and make it available for sale on his website using Selz. Three months later, Dominic has recorded seven tutorials on creature sculpting and rendering in ZBrush and KeyShot, and has three training bundles available via the online sales platform. He has sold over 3,000 downloads of his work at up to $14 each, and it’s something he encourages other artists to try for themselves. Although Dominic had recorded complete DVDs for commercial training companies before, with his own video tutorials, he wanted to try something different. One of Dominic’s tutorial creations. Two separate videos show the process of sculpting and rendering this biomech. Before recording a video, Dominic comes up with a rough plan of what he wants to cover in the tutorial. Then he simply launches Camtasia Studio, his screen-recording software, opens up ZBrush, and begins work, talking as he goes. No specialist hardware is needed. Dominic uses a standard Logitech webcam to record audio, and sculpts on his normal workstation. Since he aims to show every step of the process, little editing is necessary, beyond trimming the audio and using Camtasia’s built-in tools to remove noise. The process of readying a two-hour video for sale takes just 30 minutes. Once a video is complete, Dominic uploads it to Selz’s site and fills in the name and a brief description of the tutorial. Selz automatically generates a sales button he can embed on his website, simply by copying and pasting the HTML code. When a visitor clicks the button, it pops up an overlay with more information about the tutorial, and the payment options. As well as credit and debit cards, Selz accepts PayPal, which accounts for 10-20% of Dominic’s sales. Selz also provides point-of-sale marketing tools, including discount codes and pay-what-you-want pricing, and analytics, including the option to see every purchase an individual customer has made. The proceeds of each sale, minus Selz’s fee of 5% plus 25¢, are paid out weekly into Dominic’s bank account. Selz also automatically adds each new customer to a mailing list so that Dominic can email them to let them know when new tutorials are available. However, Dominic does most of the marketing through social media, via announcements on his Facebook profile. Initially, Dominic sold videos from his personal website. But as the business has grown, he has set up a new website, Creature Workshop, dedicated to his training products. The site uses a single-page Squarespace design, which has the twin benefits of keeping build time minimal and providing visitors with all of the information they need in a very concise format. Equally importantly, it makes striking use of images of Dominic’s own creature sculpts so that potential buyers can judge the quality of his work at a glance. Another key to his success, Dominic believes, is offering a complete product. As well as the video, he makes all his project files available in the downloads. But more importantly, each video represents a complete project. 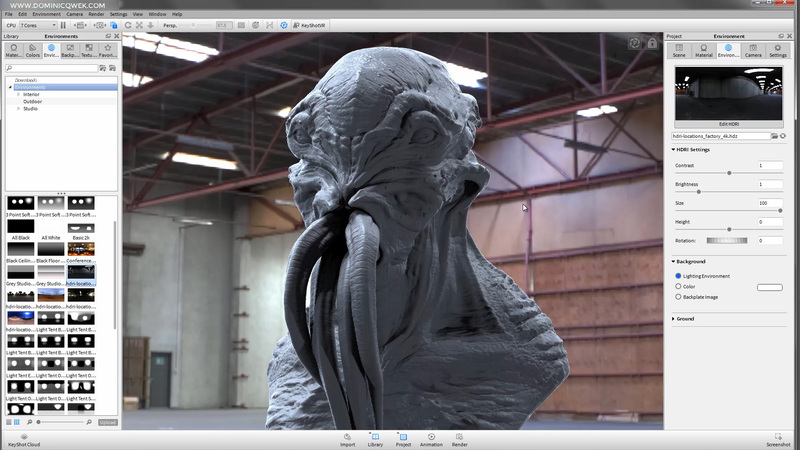 Dominic’s Cthulhu rendering tutorial. As well as the video, the download includes the model, textures and final PSD file. As well as a source of income, Dominic regards the tutorials as a way of sharing his knowledge with the CG community. With each individual video priced at just $5, almost anyone has access to the information. For that reason, Dominic says that he would encourage other artists to try recording their own video tutorials and making them available through services like Selz.